Wars are won with strength, valor, and numbers—especially numbers. Rhys the Redeemed is the seemingly default commander of choice when it comes to making token-themed decks. 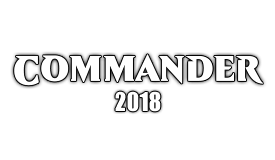 You can go with other commanders (Ghave, Guru of Spores, Hazezon Tamar, Wort, the Raidmother, Trostani, Selesnya's Voice, etc. ), but it is hard to beat Rhys' low casting cost and awesome "super-Populate" ability. -1 Twilight Drover - Just seemed out of place here. +1 Dictate of Heliod - Another good anthem effect. +1 Temple of Plenty - Another decent dual land. +1 Hornet Queen - One of the best new cards at generating tokens when it enters the battlefield. +1 Requiem Angel - Sweet anti-wrath tech that also allows me to attack profitably when I normally would not be able to. +1 Canopy Vista, -1 Thawing Glaciers: Glaciers is slow and the number of good dual is high enough where its not needed. +1 Sram's Expertise - a solid, cheap token-maker often tacked onto a free spell. -1 Emmara Tandris - As much as the ability is perfectly in-theme, the card is just expensive and bad. -1 Trostani, Selesnya's Voice - This was never really great in the deck, plus she has her own deck to shine in. -1 Selesnya Sanctuary - I've been cutting these for the SOI dual lands where I can. +1 Shamanic Revelation - I'm going to try to run this here as a way to generate some card advantage, and its cheaper than Collective Unconscious and Regal Force. +1 Anointed Procession - Another Parallel Lives for the deck that thrives on this kind of effect. -1 Spear of Heliod - As an onboard removal spell it ends up not being very effective, so it ends up being just an anthem. -1 Sensei's Divining Top - I may add in a Sylvan Library at some point, but SDT was never really good here. +1 Growing Rites of Itlimoc, -1 Oracle of Mul Daya - I love Muli Duli, but Growing Rites is sick and something has to give. +1 Primal Amulet, -1 Sakura-Tribe Elder - I love STE, but Primal Amulet is also sick and again something needed to give. +1 Tendershoot Dryad, -1 Ant Queen - Ant Queen always bugged me as its the only card in the current deck that requires me to pay additional mana for my tokens, so I'm going to swap in an arguably worse card that gets me free tokens and that plays nicely with Selesnya Guildmage, Aura Mutation, Sprout Swarm, and Vitu-Ghazi, the City-Tree. 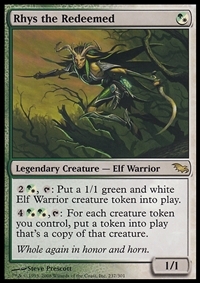 1/1 Elf Druid with " : Add "
Take Up Arms: For 5 mana, you really need to be able to get 4 tokens minimum out of it to make the deck, and this just comes up short. Freyalise, Llanowar's Fury: Solid + ability that gives me tokens, plus a card draw ultimate. Titania, Protector of Argoth: I would need to up the fetchland count to make this work, but can see this being really good. Jazal Goldmane: I think some of the other anthems I'm planning on running are better, but its well worth the look. Citadel Siege: Khans mode could be really good here, especially with Doubling Season. Monastery Mentor: Slam dunk addition to a deck that runs 37 cards that trigger it. Shamanic Revelation: I'm tempted to go down this route, even though I have resisted adding cards like Regal Force or Skullmulcher. Secure the Wastes: As efficient of a token creator as there is. Evolutionary Leap: If there was a place to play this card, this would definitely be it. Gideon's Phalanx: I usually compare these kinds of cards to Gelatinous Genesis to see if I'm getting a good enough deal or not. 8 < 9, so this stays on the bench. 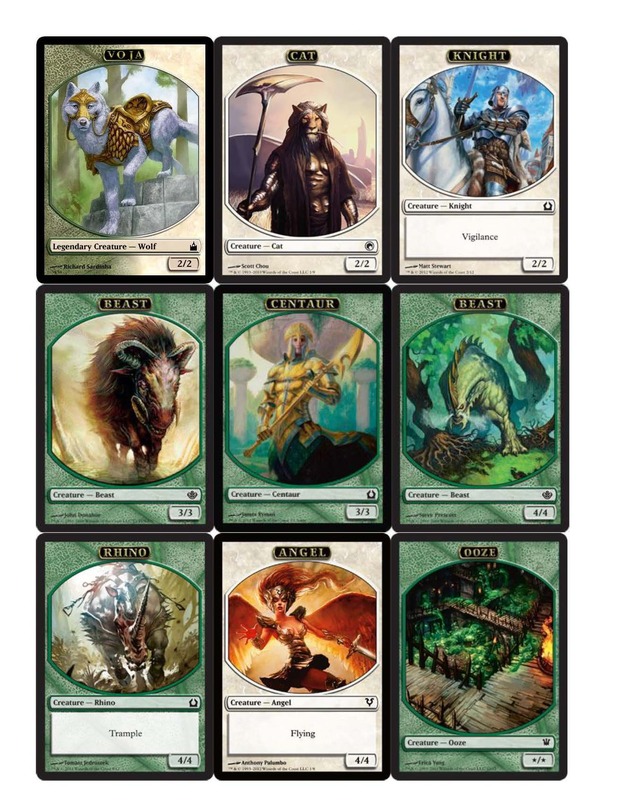 Valor in Akros: Tailor made for a token deck that puts multiple creatures into play each turn. Zendikar's Roil: I need to make space for this. The deck likes to put lands into play and getting free tokens out of that deal seems fantastic. Desolation Twin: If the deck weren't already stuffed with tons of expensive things already, I would totally consider putting this in. Getting multiple 10/10 tokens with Doubling Season or with Rhys or Trostani seems nuts. Gideon, Ally of Zendikar: It's either a 4-mana Anthem that can't be removed, a free source of 2/2 Knight Allies, or a 5/5 Indestructible beater; perfect. Retreat to Emeria: Another good Landfall token producer. Brood Monitor: I'm interested in Eldrazi Scions both for token shenanigans and mana production. Call the Scions: I don't play a lot of early token-making plays, but getting Eldrazi Scions might make it worth it. Eyeless Watcher: Again, getting Eldrazi Scions makes this worth looking into. From Beyond: I cut Awakening Zone a while ago, but if I ever try Desolation Twin then I think I'll give this a whirl. Canopy Vista: In decks where I'm running Thawing Glaciers, I am replacing it with the appropriate Battle Land. I never finished how the deck looked at this point. Righteous Confluence - The token production is on par with Bestial Menace (6-power spread over 3 creatures), but the added flexibility is a nice feature. Nissa, Voice of Zendikar - 0/1 tokens aren't the most exciting, but the number of anthems in the deck makes that a non-issue. The mass pump being +1/+1 counters plays well with Doubling Season, and the ultimate is a card drawing effect. Great card for this deck. Oath of Gideon - At one point, I had 6 Planeswalkers in the deck so the second ability had some merit. 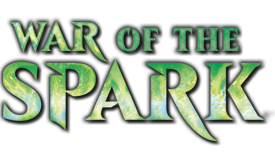 Seasons Past - This deck has a good distribution of mana costs and spells that naturally go to the graveyard. I should probably be running this in more decks. Sigarda, Heron's Grace - This can generate tokens on the cheap, but the need for cards in the GY makes that a somewhat iffy proposition. Angel of Invention - Token producer plus an anthem makes this perfect. Oviya Pashiri, Sage Lifecrafter - Only being able to generate one creature a turn is a huge drawback, but I decided to try it out because the tokens can get huge. Sram's Expertise - Getting 3 tokens for 4 mana is good, but tack on a free spell (there are 18 cards with CMC 3 or less in the deck) and you have a winner. Really cool list you have here. I believe your mana curve is too high, especially for only running 36 lands. I think you should consider cutting cards like Emmara Tandris that don't do enough for the mana you have to invest. No Intangible Virtue? Mana efficient mantra ability + vigilance and is on theme seems like an obvious inclusion. Any particular reason you aren't running it? Raise the Alarm is another very efficient spell and is instant speed but I notice you aren't running it. 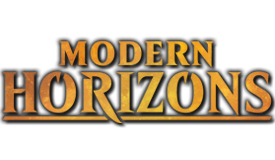 Heroic Intervention is a recent addition from Aether Revolt that seems very worth of consideration and is great technology to answer destroy board wipes. I recommend making room for Nature's Lore. It can fetch a Forest like Rampant Growth but bring it into play untapped. Additionally is can search for Canopy Vista and Temple Garden. Also you seem to have very little card advantage and limited spot removal. 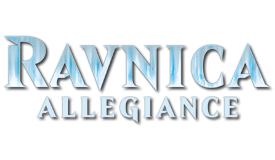 I strongly recommend you make room for Sylvan Library, Path To Exile, Council's Judgment, etc. This has not gone unnoticed. In my recent update, I've cut a lot of high-CMC and X-spell cards, including Emmara Tandris. I cut all the straight Anthem cards out a few years ago and never looked back. I considered going with some really cheap token-makers to give the deck more early game, but the deck is more about momentum than all-out speed. It may still go down that path (along with Gather the Townsfolk and Servo Exhibition) eventually. I'm okay with board wipes. The deck is chock-full of cards that are veritable one-card armies, so I can create a new board presence rather quickly. It just went into the deck. I also just added Council's Judgment, but I eventually will add in more spot removal because the deck isn't pulling its weight at helping to control the board. Path to Exile, Beast Within, and Angelic Purge are on the short list to come in. Amonkhet has brought us another token doubler in Anointed Procession, and I've decided to add in Beast Within, Path to Exile, and Shamanic Revelation. 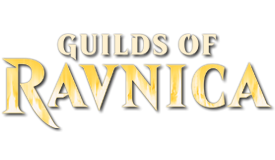 I'm cutting Mikaeus, the Lunarch, Sensei's Divining Top, Yavimaya Elder, Spear of Heliod. Mikaeus and Spear were the worst of the "Anthem" cards I was running, and Top and Elder are goodstuff cards that don't need to be in the deck anymore. Hour of Promise - I tried this out along with 7 Deserts (Desert of the Indomitable, Desert of the True, Hashep Oasis, Endless Sands, Scavenger Grounds, and Shefet Dunes) and it actually wasn't that bad. If there were more Desert themed cards worth exploring I would consider making this a more permanent part of the deck, but overall I felt that this just wasn't worth the hoops I had to jump through. Bloodforged Battle-Axe - This was a fun "token maker" to include in the deck for a while, especially when you have a Doubling Season effect online. I really wish it was to play and to Equip because I would likely still be playing it, but the other way around makes this too expensive to use. Zendikar Resurgent - I really like this card and didn't find a home for it anywhere but here. Legion's Landing - This is a nice little card that is easy to flip in this deck. Primal Amulet - For a deck with this many Instants/Sorceries, this card goes a long way towards accelerating the deck. Huatli, Radiant Champion - Of all the decks that I have where this card has a chance to excel, this is it. Timing is everything with this, but you can usually play it right after a large token creation spell in preparation for creating the Emblem the next turn. I also like that the card draw is a may ability so you can't deck yourself with it. Path of Discovery - I run a few too many "do nothings" in this deck for this to really stick around in the deck, but in general it is fine. It triggers on each creature that ETB and not just on those that are cast, so your token creators give you multiple Explores. 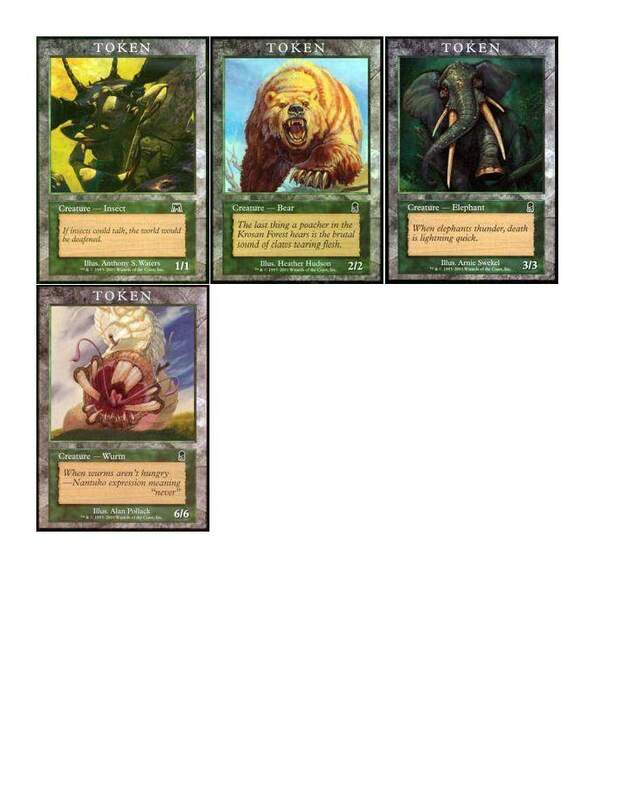 Tendershoot Dryad - Creating a Saproling every upkeep (that will essentially be a 3/3 since the City's Blessing is pretty easy with this deck) is quite saucy for only 5 mana. The Immortal Sun - The last three abilities are amazing; the first one not so much in a deck that runs 6 Planeswalkers. I considered pulling all of the out at one point, but they are all too good at generating value over several turns. +1 Primal Amulet, -1 Sakura-Tribe Elder - I love STE, but Primal Amulet is also sick and something needed to give. -1 Vitu-Ghazi Guildmage - I don't think I have ever used the abilities on this creature; they are just too expensive. -1 Wilt-Leaf Liege, -1 Tolsimir Wolfblood - The double-pump is great in theory, but the deck just doesn't generate enough creatures that are both colors to justify the additional cost over a more general "anthem" creature that might be cheaper. -1 Zendikar Resurgent - I don't cast enough creature spells to get the benefits of the card draw and as 'just' a mana doubler it is too expensive. -1 Growing Rites of Itlimoc - I'm playing less and less creatures in this deck, so the ETB ability is whiffing a lot. The only nice thing is that it pretty much flips 100% of the time in this deck, but I've been wondering whether it is worth it to essentially pay 3 mana for a Gaea's Cradle. -1 Primal Amulet - The instant/sorcery count needs to be up in the 30's in order for this to be worth it. Cheap token makers - Raise the Alarm, Gather the Townsfolk, Servo Exhibition: I've resisted "going small" in this deck, but the Anthems and token doubling make all of these such huge threats that perhaps I am missing out on an opportunity. 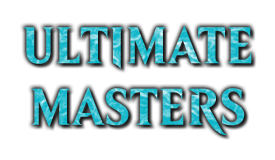 Universal Creature Anthems - Benalish Marshall, Kongming, "Sleeping Dragon": These are options to replace Tolsimir and Wilt-Leaf Liege, but I would only do so if I was getting an effect more efficiently mana-wise. With that in mind, it makes sense to perhaps keep Wilt-Leaf Liege and just replace Tolsimir with Benalish Marshall. 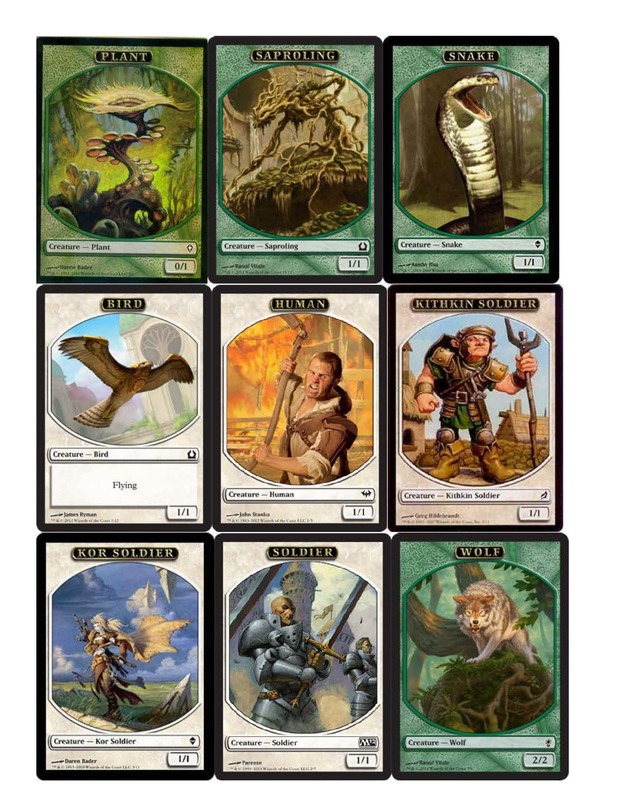 Creatures that make a lot of tokens when they ETB - Deranged Hermit, Captain of the Watch, Geist-Honored Monk: I have some of the best token-making creatures in Hornet Queen, Cloudgoat Ranger, Angel of Invention,m and of course Avenger of Zendikar, but I'm wondering if it makes sense to add in more. Benalish Marshall - This is the card that got me reconsidering what kinds of "anthem" effects I wanted to be running. It has the additional upside of pumping up colorless tokens like Servos and it's definitely cheaper than Tolsimir Wolfblood, not to mention its easier to keep track of how big my creatures are with a more universal effect. My only trepidation is the triple-white casting cost versus Kongming, "Sleeping Dragon" that has a slightly easier casting costs versus costing an additional mana and being smaller. This is also making me reconsider any colorless mana sources I am running, since I have a lot of difficult colored mana requirements. Call the Calvary - I normally wouldn't consider cards like this, but when I compare this to a card like Sram's Expertise that produces 3 1/1's the math seems to work in this card's favor. With an anthem out, both cards produce 6-power worth of creatures, but with a token doubler out it's 8-power for Call the Calvary and only 6-power with Sram's Expertise. With an anthem and a token-doubler, it's 12-power versus 12-power. My guess is that there a lot of 2-4 CMC cards that produce multiple tokens that I should be going back and reconsidering, and maybe even going an looking at some of the 5 CMC options like Bestial Menace and Righteous Confluence. Saproling Migration - And this is the cads that got me reconsidering some of the other low-CMC token creating spells, except this one scales nicely with the Kicker. Spore Swarm - This was initially a slam dunk, but then I started thinking about how this compares to Call the Calvary which in turn led me to reconsider a lot of things. Overall, I think this is the kind of card the deck wants; a minimum of 3 creatures for 4 mana, but I think I need to take the size of the creatures into consideration a bit more. Spectral Procession - Three 1/1 flyers for WWW or 2WW seems like something I should be running. Spontaneous Generation - Horrible topdeck, but perhaps worth it given how the deck usually plays out. Bestial Menace - 6-power over 3 creatures seems a lot stronger that I was previously thinking. Righteous Confluence - Three 2/2's again seems stronger then I previously gave it credit for. The last piece to this is that with looking at some lower-CMC options for creating tokens, it seems that I should be looking harder at some of the card draw available hat is similar to Shamanic Revelation. Specifically, that would be Regal Force, Collective Unconscious, and perhaps even Slate of Ancestry. As I'm writing this post, I'm even now reconsidering what I should be doing to up the token generation in the deck. This used to be a big-mana deck that looked to ramp mana into large X-spells that produced a lot of tokens with a single card and anthem effects to take advantage of that. I still like the concept, but I think that I can execute it better. I've already shed a lot of the really high casting cost stuff in order to get more streamlined, but I think that I have an opportunity to get cheaper and better. So that opened up 8 slots to play with where I told myself I was going to add in the best token-making spells I could find. I also decided that if I stuck with spells, I would get to the point where Primal Amulet would make sense to remain in the deck. To decide which token-makers I wanted to include, I decided on a "highly scientific" method of assuming I had 1 anthem effect and 1 token doubler in play, adding up what the total power of the resulting creatures would be, then dividing by the mana cost. This led me to want to also cut Hornet Queen (which isn't efficient enough even if you factor in Flying), and take a hard look at Captain of the Watch, Righteous Confluence, and Bestial Menace. After that last round of changes, I really liked the way that this deck was evolving. I wanted to continue down the path of finding the most efficient ways to create tokens and pump them up. Blaring Recruiter - Not as efficient as Ant Queen, but more efficient than Selesnya Guildmage at producing tokens. I stuck with Guildmage for now as it also has a mass pump ability that has been useful at times, but I might switch it up soon. Regna's Sanction - This is a decent card for breaking up stalemates, although with cards like Elesh Norn and Craterhoof this hasn't been a problem. Leonin Warleader - This at least made me reconsider why I wasn't running cards like Hero of Bladehold. They are fine cards, but I've never really given much thought to them being better than some of the spell-based token makers that are much cheaper. Empyrial Storm - I tried this for a little while and its not half bad. With a commander that only costs 1, you can often get 3 4/4's off this with no problem. Using my "doubler+anthem" scale, that gives a rating of 5.0 which would make it one of the better token producers in the deck. Retrofitter Foundry - This is interesting when you have a token doubler on board, but otherwise unimpressive. Turntimber Sower - Getting free tokens for using fetchlands is cute, but it doesn't generate enough to justify a slot. Assure // Assemble - Assemble scores a 3.0 on the "doubler+anthem" scale, which isn't quite worth it for that cost. Camaraderie - I'm a big fan of this card as a card draw spell when compared to Collective Unconscious. Divine Visitation - Upgrading tokens to 4/4 flyers has definite upside, but I have an issue with this needing to be in play prior to me generating tokens. That puts it on par with the Doubling Season effects, of which the deck is already running 5 similar enchantment cards. In the end, I looked at some other cards that fit a similar bill but don't have the same potential impact and found some cards that I think I can cut. March of the Multitudes - If I'm able to cast this for X=5 for 6 mana, or X=4 for 5 mana (saving at least two mana with Convoke) I'm at 3.33 to 3.2. Where this shines is if I can pay the whole colored cost (or more) with Convoke where I can be in the 4.0+ range. Considering that I recently cut a bunch of X-spells from the deck, I'm not necessarily too keen on putting in more but I think there is enough upside here to make this worthwhile. Trostani Discordant - Since it is an anthem effect, I like this better than something like Cloudgoat Ranger. Hero of Precinct One - I was all excited about this till I looked and realized just how few multi-color spells the deck runs. +1 Divine Visitation, -1 Juniper Order Ranger - I decided to trade a "5-drop that needed to be in play before the token producers" with one that potentially has more upside.